EthosCE is a robust platform for selling online training. It allows for selling courses — either directly to the learners or to the learners via their employer. In this blog post I am going to highlight features that show how EthosCE goes beyond the traditional learning management system and excels as a commerical training delivery platform. First and perhaps most importantly, a flat-fee model licensing allows you to keep more revenue in your pocket. As your user base grows, you’ll always pay the same amount for EthosCE. Can an LMS be self-funding and drive revenue growth? Yes, but only if it can support sophisticated e-commerce features such as renewable subscriptions and a pay-wall. EthosCE ships with an out-of-the-box e-commerce module that supports online sales, unlimited coupons, role-based pricing and pricing attributes. We integrate with your payment platform so all the revenue goes directly to you. No-revenue sharing model is required. Subscriptions allow for you to provide free or discounted training activities to learners with a subscription. Learners can directly purchase a time-limited subscription or receive access as an employee via a corporate or business contract. An LMS that can provide a paywall is vital for monetizing training content and increasing the purchase conversion rate. When selling training activities directly to learners, providing sample content can help increase your conversion rate. Sample content shows potential customers the quality of the training materials you are providing. EthosCE can segment your content so that it is both in-front-of and behind a pay wall. Users are enticed to enroll without payment to receive a sample of content, but only receive the full course content or completion credit after payment. Once enrolled, a built-in reminder system can email or send text messages to learners who opted not to purchase and remind them of their incomplete status. 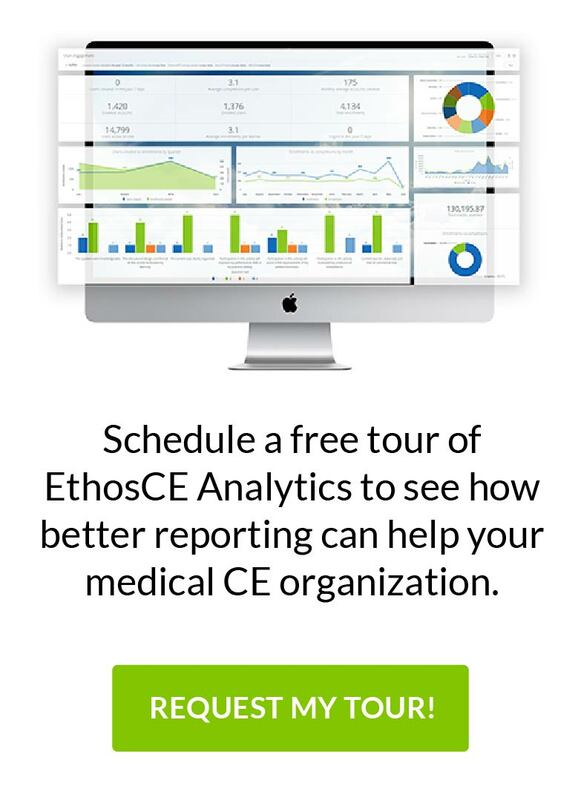 If you are targeting your training programs to corporations or small businesses, EthosCE allows you to provide each group a branded portal for their employees complete with their logo and colors. Employees can access the portal via a custom URL. When using customer portals, each of your customers can be a course administrator and create their own courses. Each customer’s administrative permissions are context sensitive and prevent them from editing courses outside their own portal.